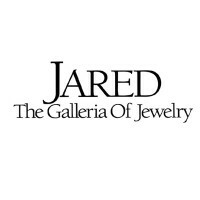 Jared is a jewelry store that is also sometimes referred to as “Jared, the Galleria of Jewelry”. This company shot to fame with its series of commercials where women proudly exclaim “he went to Jared”, which has quickly become the trademark of this higher end jewelry store. If you are interested in a Jared application, you can follow along below for information. Jared’s first store opened up in 1993. Their stores are their own building, not in a mall unlike many of its competitors. This fact allows them to have around 5 times the selection that one would find in these more traditional mall jewelry stores. They also have a very informative and successful website that customers can use to buy or learn more about jewelry. Jared is a part of the Sterling Jewelers Inc. chain, which is the largest chain of jewelry retails and operates under their parent company Signet jewelers. In addition to being among one of the most successful jewelry chain, Jared is also a company that understands the importance of giving back. Jared is one of the largest corporate sponsors of St. Jude’s Research Hospital. Jared is looking for employees that are passionate about giving amazing customer service while having knowledge of the products that they sell to properly assist customers with exactly what they are looking for. If you have an excellent ability to help make jewelry dreams come true with a smile, apply today. There are positions at the Jared retails stores, and corporate positions as part of Sterling Jewelers, Inc. Between these two sectors, there are numerous positions that one may obtain. At the retail stores, Jared offers positions that a person can move up the ranks to a Jared career. Some positions in retail are jewelry repair, sales associate and manager. The corporate office is headquartered in Akron, Ohio. There are so many different opportunities for job seekers at the corporate office, where there is something for everyone. A lot of the positions at the corporate office may require more to obtain these positions. Some corporate office jobs include human resources, loss prevention, and merchandising. How old do you have to be to work at Jared? A person must be at least 18 in order to work here. With all of the positions offered here, there are a varying degree of qualifications for each. Most employees are required to have a minimum of a high school degree or equivalent to work here. Other positions may require a college degree or other specialized training. Jared, as with other Sterling Jewelers Inc. locations, offers impressive benefits packages for their industry to those who qualify, depending on locations and hours worked weekly. Some benefits include medical and dental coverage including vision care, life insurance options and both long-term and short-term disability. Other benefits include 401(k) plan, discount stock purchase plan, and tuition reimbursement. These are only a few of the benefits offered here. The store hours for Jared are Monday through Saturday from 10:00am to 9:00pm and Sunday from 12:00pm to 5:00pm. These hours, however, can depend on the store’s location and holidays. Some holidays, the stores will be closed for part of or all day. During holidays, hours may be extended to accommodate shoppers. Sales Associate- A sales associate will assist customers to pick the right jewelry according to the budget and specifications given by the customer. They should also be knowledgeable in the product to offer advice to customers to help improve their buying experience. A sales associate will handle customer transactions at the register, and should know all payment and returns policies, as well as warranty information. A sales associate can earn $12 hourly. Jewelry Repair Technician– A jewelry repair technician is responsible for fixing jewelry in a timely fashion. They will perform repairs, resize rings, and other needs met by the customers for their jewelry. A technician needs to have excellent knowledge on how to properly perform these duties and must pass all applicable training courses. A jewelry repair technician may earn around $14 per hour. Assistant Manager- The assistant manager often has the same responsibilities as the sales associate. In addition to those duties, they will help train new employees according to company policies, and will help with employee reviews. An assistant manager will take over managerial duties when the store manager is not present. An assistant manager may earn around $20 per hour. Manager- A manager is responsible for their individual store while working under the direction of the district manager. A manager will conduct job interviews and hire staff as needed. They will also handle customer issues within their store. The manager must ensure the store meets all sales goals set by their district manager. A manager may earn around $60,000 a year. Expect some of these Jared job interview questions. Why do you want to work at Jared? What the interviewer is really asking is “what has made you apply at this company?” There are looking to see if you applied just because they were hiring or if because you have some interest in this field. Answer honestly as to why you applied here. Would you require a manager to solve customer disputes? The interviewer is trying to gauge your customer service ability. They do not want someone who will immediately run to the manager to solve the disputes, but someone who will try and resolve matters on their own. Discuss what you would do during a situation and when you would ask for a manager’s assistance. How important is it to build a relationship with customers? Realistically, you are selling often high priced items to customers. It is important to build a relationship with the customer to get them to buy the product from you. Explain the importance of a customer trusting you and why building relationships with the customer are important. Do you have any previous experience in sales? The interviewer is looking for people that can meet their sales goals. As a result, they want people who have experience in working in sales. Honestly answer with any experience you may have selling items. What are your long-term career goals? Jared is a company that offers amazing career growth opportunity and has a habit of hiring within for higher level positions. The interviewer is looking for someone interested in working here for more than a couple of weeks. Discuss your career goals and mention how working here fits into your plan. One may wonder how to apply at Jared. You can visit Jared jobs online to fill out an application form directly online at Sterling Jewelers, Inc. career page. You may also consider filling out an application at your local Jared store. You will be unable to find downloadable applications or printable applications online. The job descriptions and responsibilities are not listed directly on the website; however it does have a lot of useful information about the offerings you may want to take a look at to decide if this company is right for you. When you fill out your application form, it states that you must fill out the form completely in order to be considered. You should also submit an updated resume. It may take a few weeks for this company to contact you. If this time has passed, you are able to contact the location you applied at to check the status of your application or even see if they are still hiring for that position. You may also be able to find out when interviews may begin. Preparing for your interview beforehand can have a great impact on how well your interview goes. When you practice, you will be less nervous and are able to articulate your way through your interview in a confident manner. You should also dress in a business casual style of attire, which also greatly impacts the success of your interview. Sleepy’s: See our resource page for more information on Sleepy’s careers. Harbor Freight: Harbor Freight offers opportunities for both, beginners and experienced roles. Restoration Hardware: Restoration Hardware offers opportunities for both, beginners and experienced roles. Modell’s: Visit the job application for Modell’s to apply today. Hibbett Sports: Hibbett Sports offers opportunities for both, beginners and experienced roles.